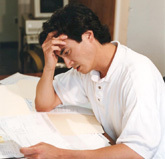 Workplace Stress is a course to identify potentially stressful situations and coping with them. Stress, and its effects on our ability to do our jobs, is often overlooked. Areas covered include recognizing symptoms of stress, situations causing stress, positive vs. negative stress, effects of stress on the mind and body, eliminating stress factors, and stress-relieving exercises.